Being a loan officer implies approving loans within certain limits and restrictions. This kind of job requires a financial background since a loan officer will have to analyze an applicant’s financial status and credit limit on a regular basis. Our loan officer job description includes all the skills and requirements expected by any employer out there. Since there are some differences in rank when it comes to loan officers, there may be some extra requirements that come with it. Below is an overview of what to expect when faced with creating an application. What Does a Loan Officer Professional Do? The loan officer job description highlights the fact that a loan officer has to respect the job’s specified limits when approving or granting a loan. These specified limits are stipulated in the work contract and they are usually about difficult cases that involve the expertise of a manager or a lawyer. A loan officer will always have to report his or her actions to the management and ask for their approval when they aren’t authorized to grant a loan. This job supposes an in-depth knowledge of the company’s terms of services and credit options. The loan officer job description also includes filling in different financial processes and statements. The loan officer has to keep up with the latest news and changes in this work field: financial services, offers, and strategies in order to provide quality services to the customers they interact with. Grant or approve loans, and monitor loan staff. Escalate the situation to the right departments. Provide financial support and assistance to clients. Handle customer complaints and solve them in a professional manner. Resolve different problems (mortgage or grant problem). Identify the clients’ needs and try to offer them the most viable options there are. Promote bank services and products. Set and change credit lines, policies, standards depending on the situation and terms of services. Prepare reports to send to customers (fraudulent, delinquent, irreconcilable accounts as well). Problem-solving skills. This professional is responsible for finding the best ways to help clients get the loan or offer that they need. He must possess an analytical mind and have the capacity to multitask in order to fulfill all his duties. Communication skills. The loan officer must have good soft skills and active listening skills so that when dealing with customer requests and complaints he can resolve all of them properly. Field Knowledge. It is part of the loan officer job description to have great financial abilities, good numerical skills, an in-depth knowledge of financial processes and loan policies and strategies, and a capacity to research and come up with pertinent solutions to client’s problems. In addition to the ones already presented above more specific requirements differ depending on the employer. Some employers will ask for a bachelor’s degree while others won’t. Handling a lot of requests and filling out reports, as well as analyzing the clients’ financial status should be expected when working as a loan officer. Organizational and time management skills are of the essence since there will also be tight deadlines and stressful situations that require extra care and attention. Also, licensure is needed when handling mortgage loans. Most employers look for a bachelor’s degree in business, economics, finance or any other related sector. The mandatory education requirement is a high school diploma or an equivalent for all companies and employers. If you want to work as a mortgage loan officer, you will need to have licensure. There are also different certifications available in order to make sure one fits the loan officer job description. That way, one can make sure an application will get them the job. It is not hard to get a job as a loan officer as long as one meets the job’s requirements and has the desired set of skills. This is why most companies and employers focus on hiring people that have the right abilities and skills that are necessary for the job. In many cases, the loan officer job doesn’t require any previous work experience. Whereas in some situations, depending on the company or employer, proven experience in a similar job position might be necessary. There are many certifications and licensures available when wanting to get this job, a candidate can get one from the American Bankers Association or from Mortgage Bankers Association. A bachelor’s degree in Finances or Economics also helps tremendously. A well-written and well-structured resume will also make an employer call you up for an interview. Loan officers work full time, that is usually 40 hours a week, but they are permitted to have as many clients as they can handle, so loan officers that specialize in mortgages can work more than 40 hours a week. While consumer loan officers might need to travel to visit clients. They can work from morning around 9 or 10 am until 6 to 9 pm. The peak hours for sales calls take place in the early evening, when people are usually home from work, between 6 pm and 9 pm. Like most jobs out there, the loan officer job description also includes the possibility of advancement or promotion. 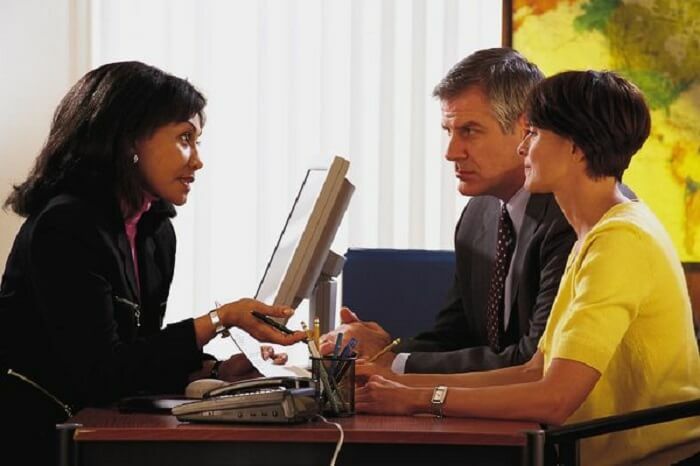 A loan officer can end up supervising the loan personnel, or offer training to others. One could even become a branch manager or senior loan officer. All of this depends on the company’s policies and guidelines and on one’s work experience and skills. Companies offer promotions when the loan officer exceeds expectations as far as results go. They could also get a promotion thanks to having a professional attitude, good results and plenty of work experience. In order to get a job with a large or famous company, a bachelor’s degree or even a master’s degree is mandatory. For best chances, that should be in any of the fields related to economics, business or finance. A future possibility of advancing is to financial analyst, especially for those who studied and have enough experience in finance. Finally, the median salary of a loan officer is $30.60 per hour or $63,650 annually in the U.S, 2016 data from the Bureau of Labor Statistics. This sum differs because there are different criteria one needs to meet in order to receive the median pay. For example, one’s work experience will always influence the salary. Location is also important; the state in which a loan officer works in might have a significant impact on earnings. The loan officer is the professional that combines both soft skills and persuasive skills in order to do the job. With a mainly desk-based job, some consumer loan officers might also need to travel to visit clients and finalize contracts. Nowadays loan officers play an important role as more and more people are taking up loans to pay for their homes. The pay for this profession is pretty good ensuring that the loan officer job will be one sought after even a long time from now.